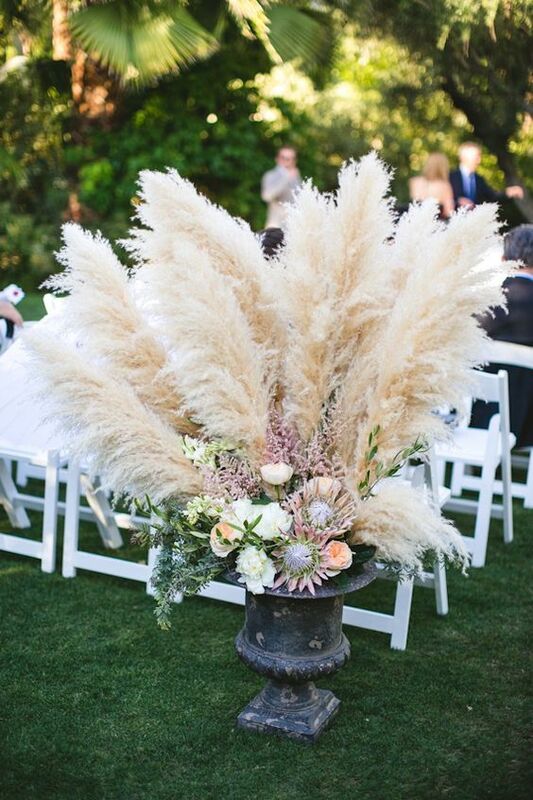 Pampas grass is ornamental grass that is often used for flower arrangements of various kinds. 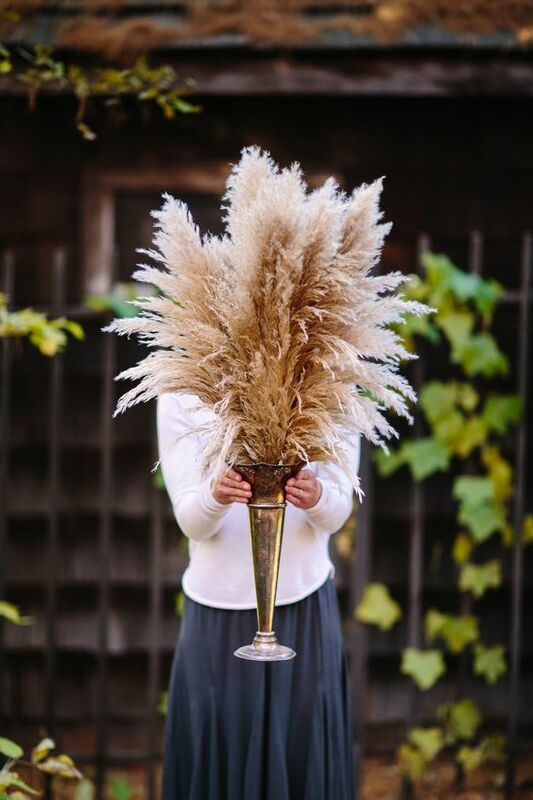 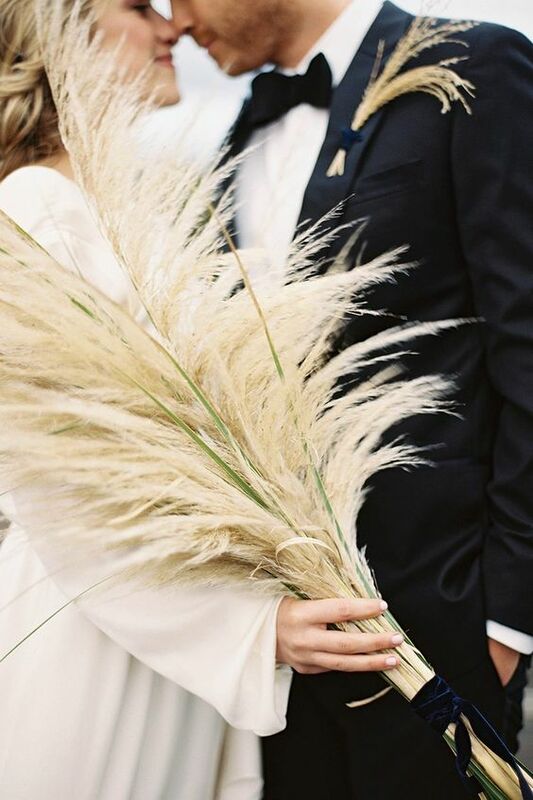 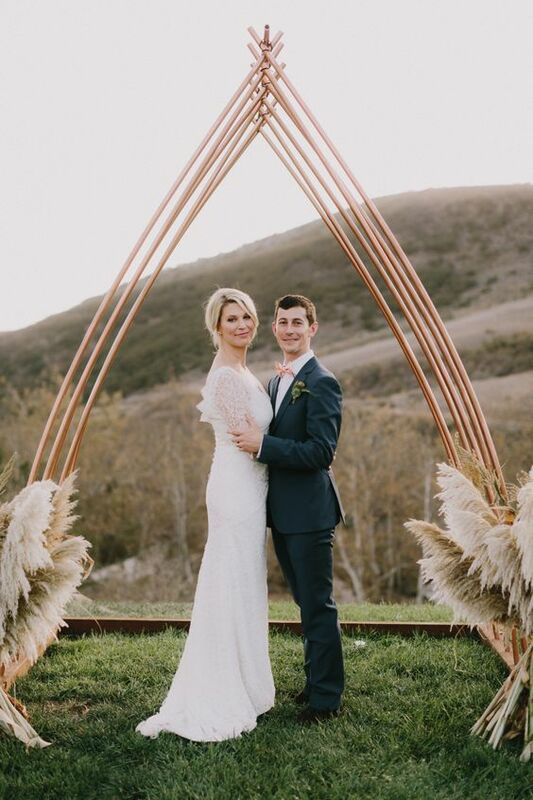 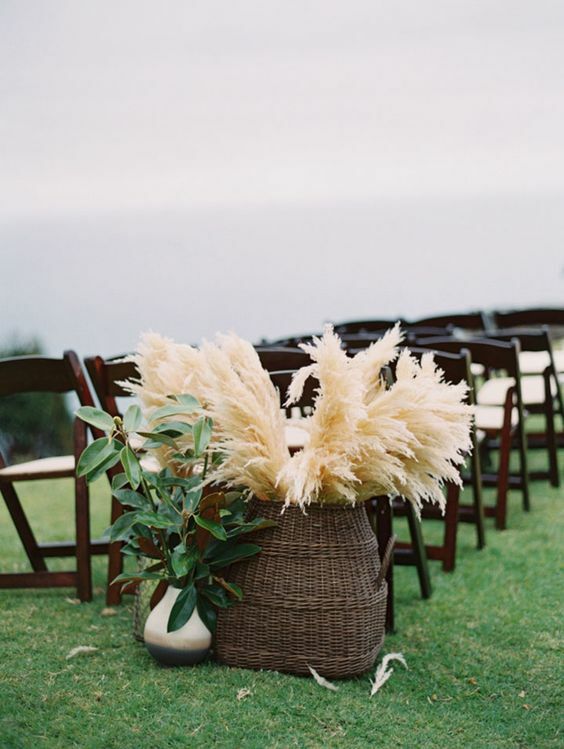 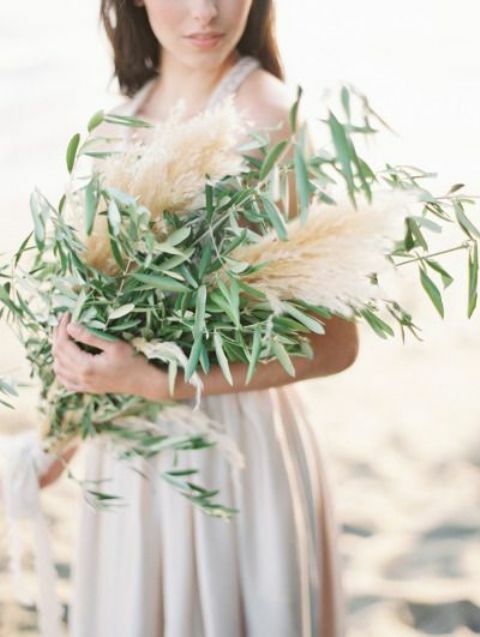 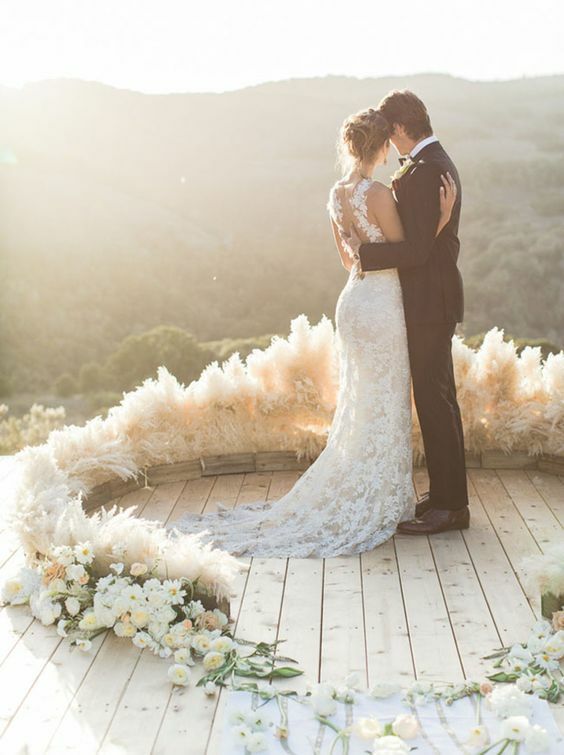 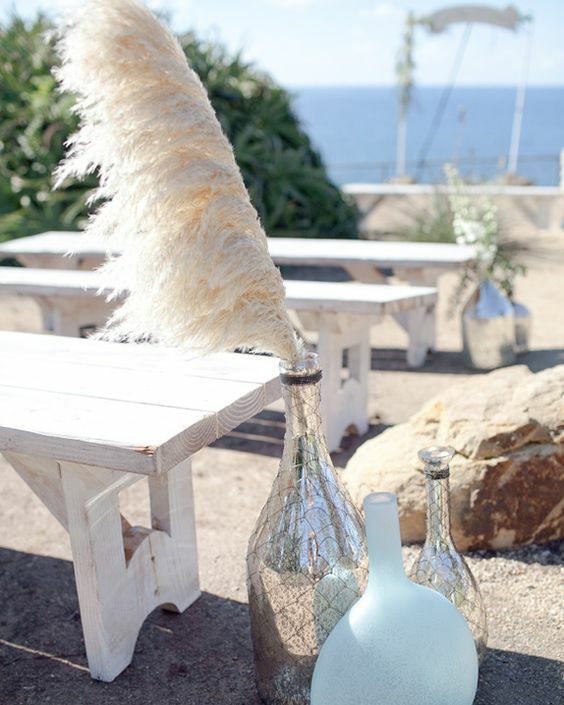 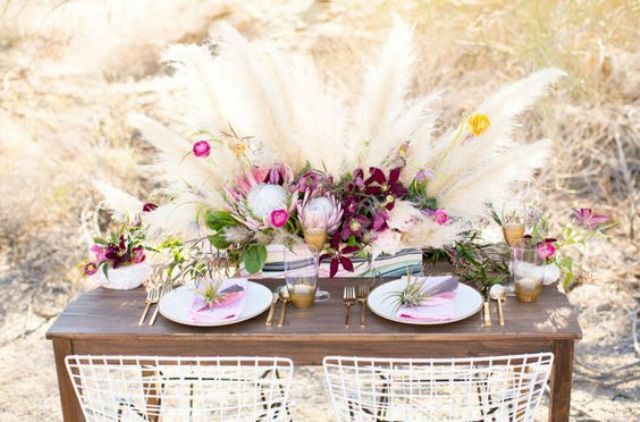 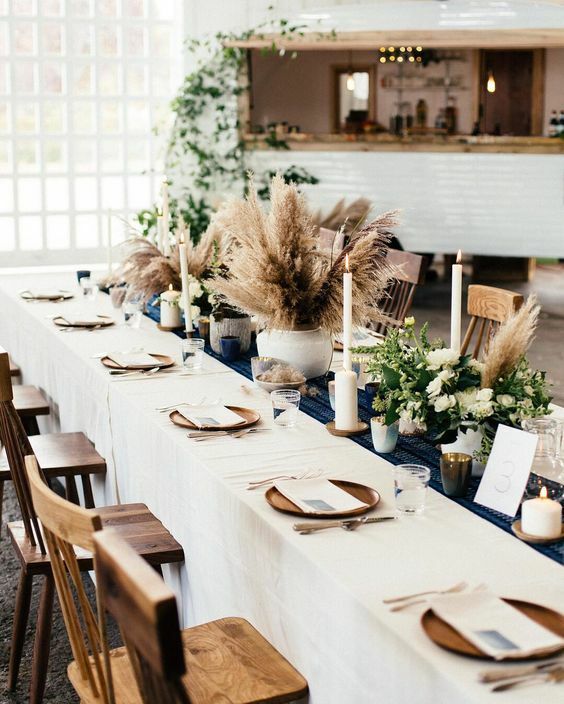 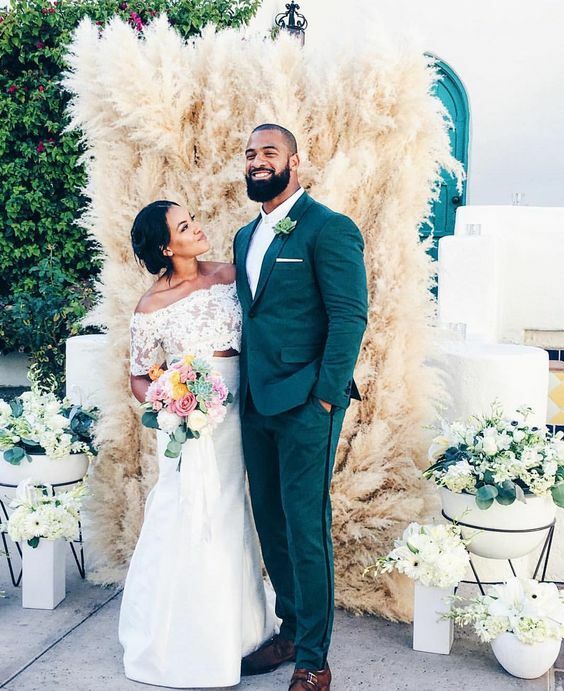 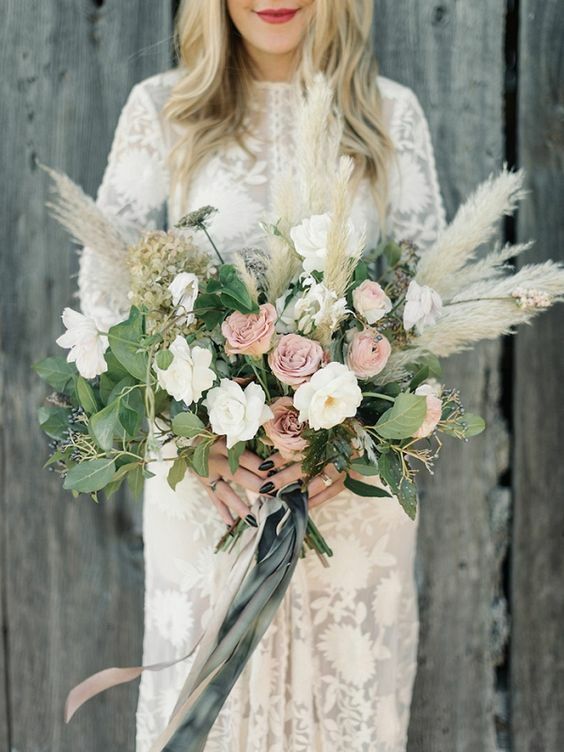 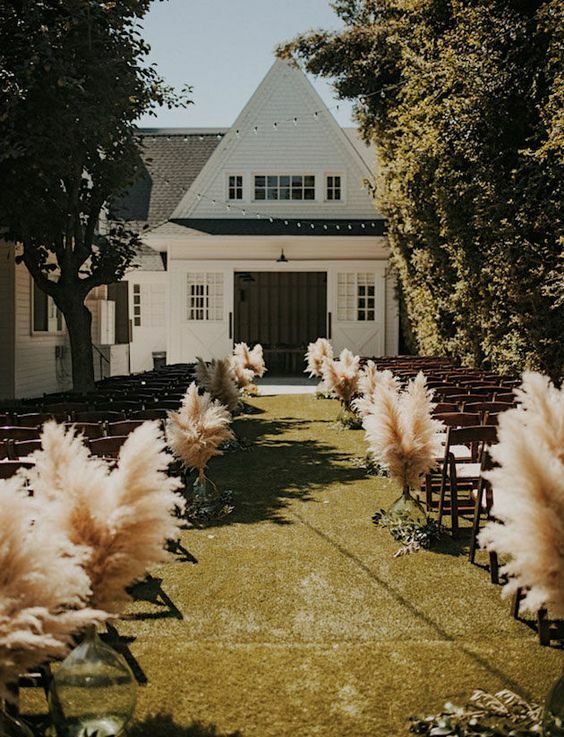 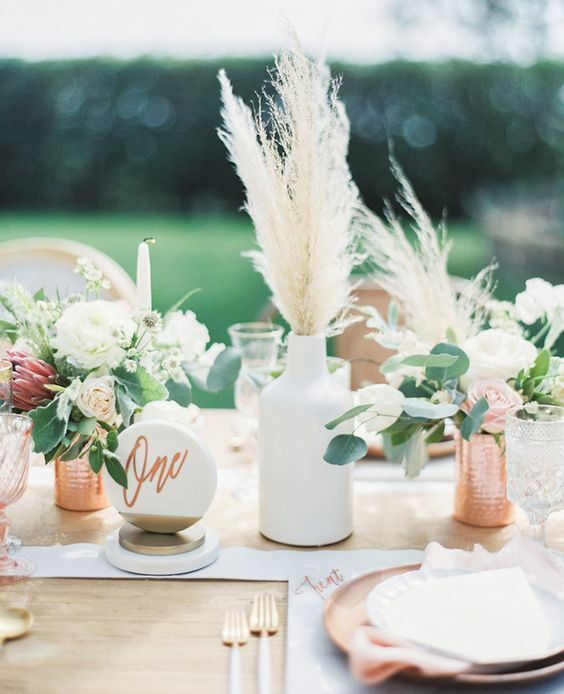 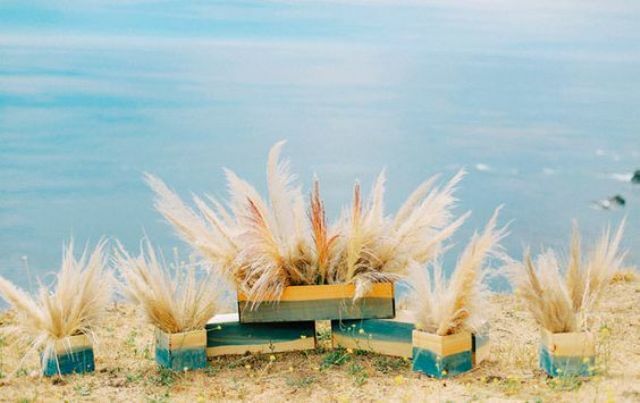 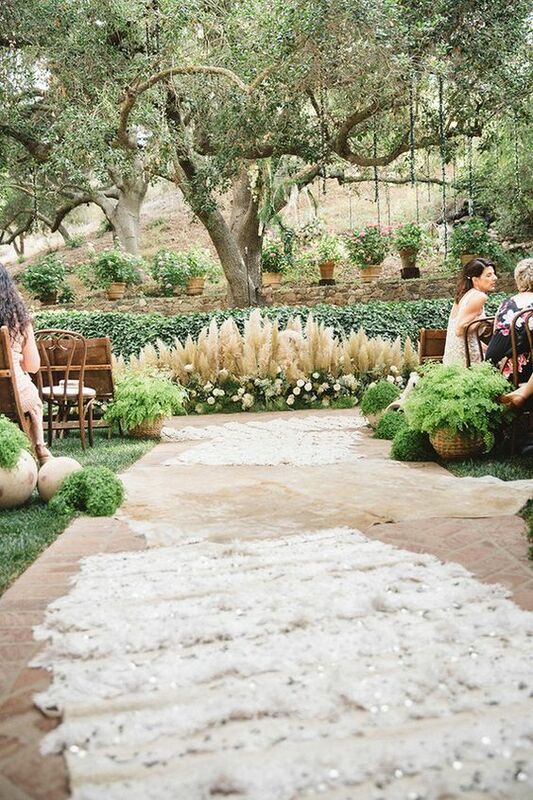 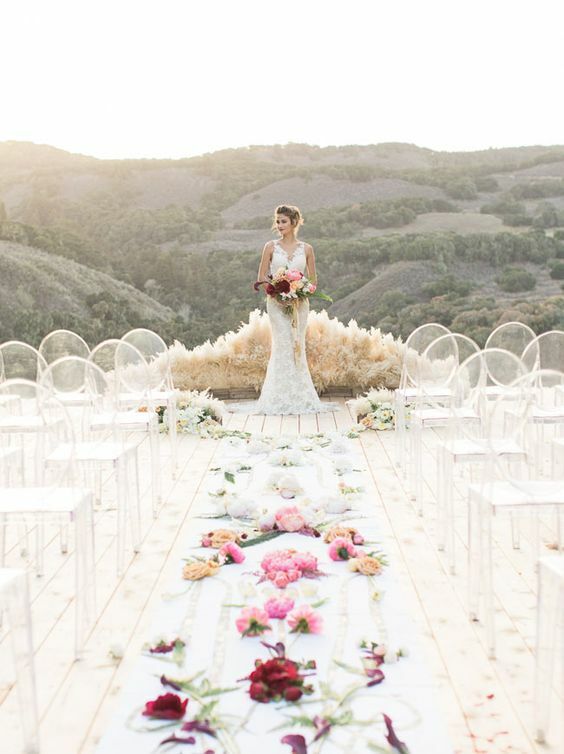 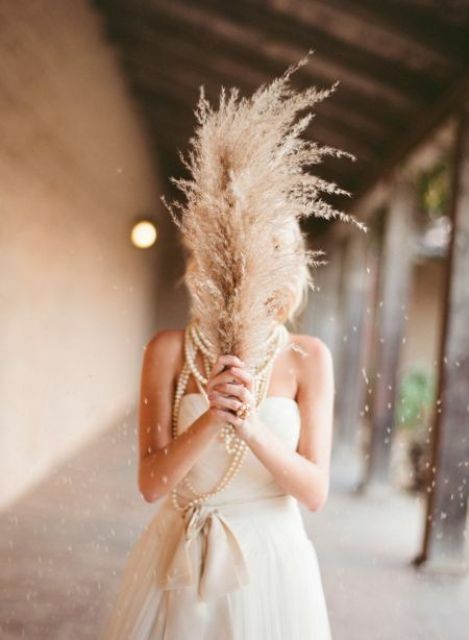 Using pampas grass for wedding décor is new and rather hot trend popping up, it looks very eye-catchy and is ideal for desert, boho, mid-century modern, beach and some other types of weddings. 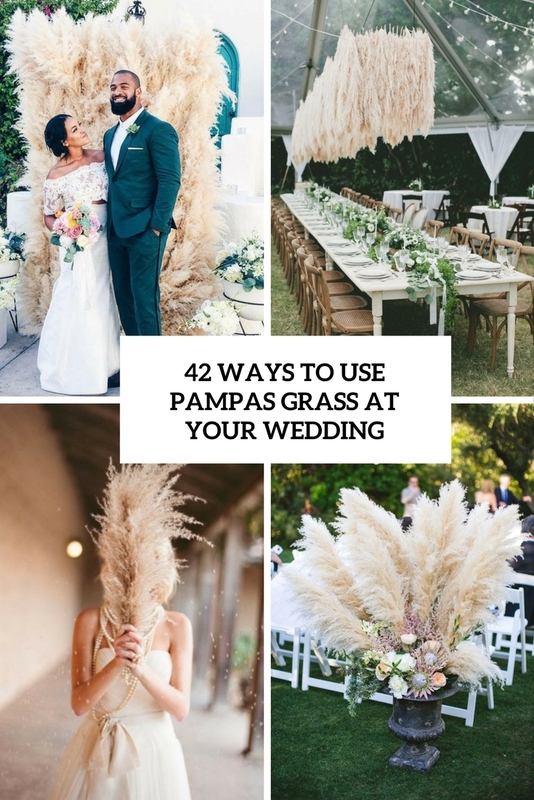 I’d like to share the coolest ideas to use pampas at your wedding, I’m sure that after these examples you’ll want some pampas for décor. 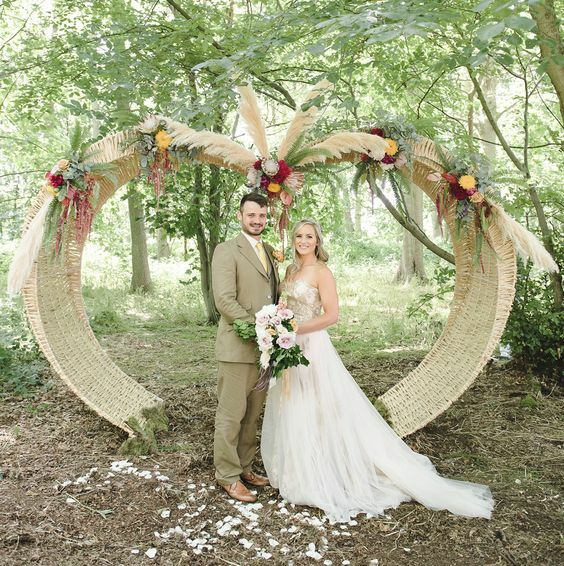 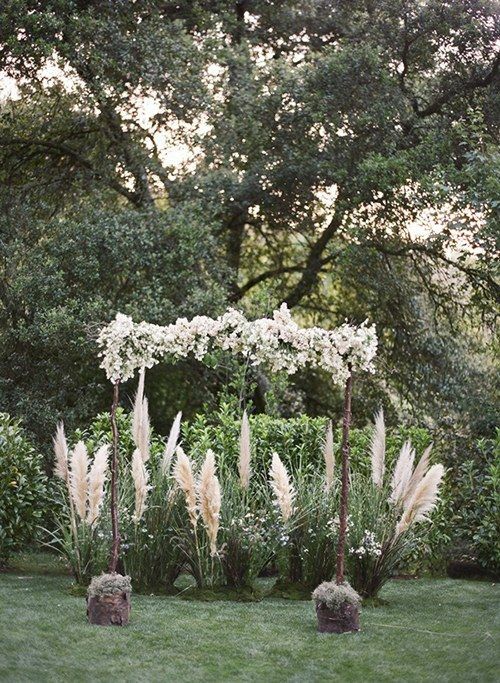 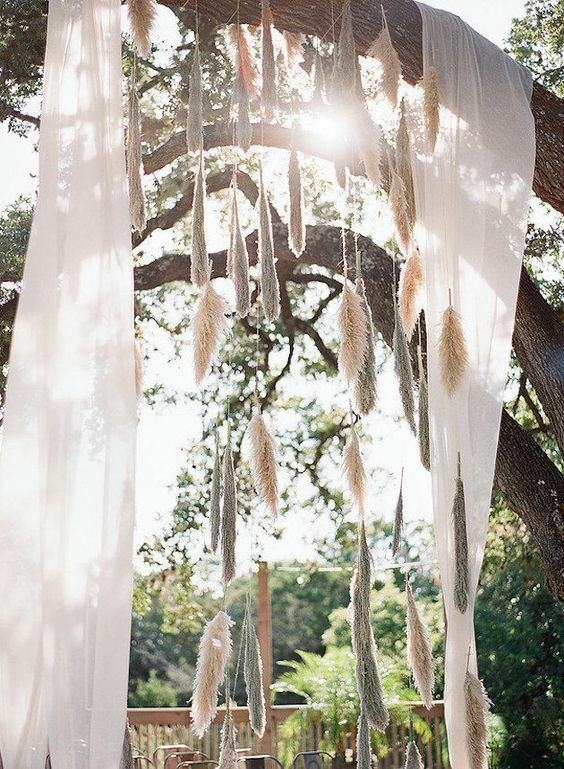 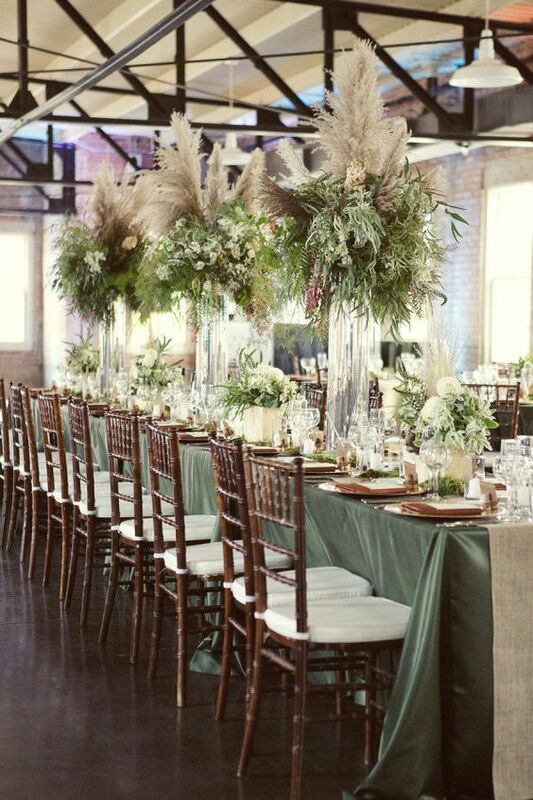 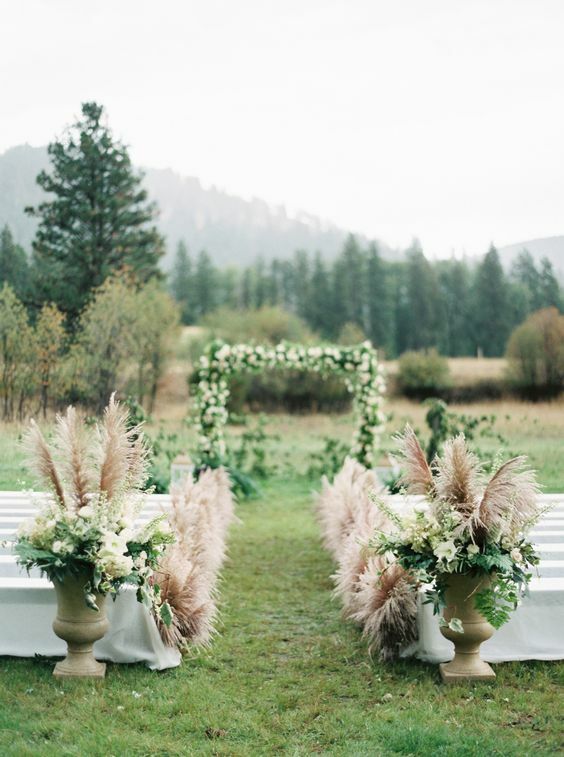 Pampas grass is amazing for decorating wedding arches, altars and just ceremony spots. 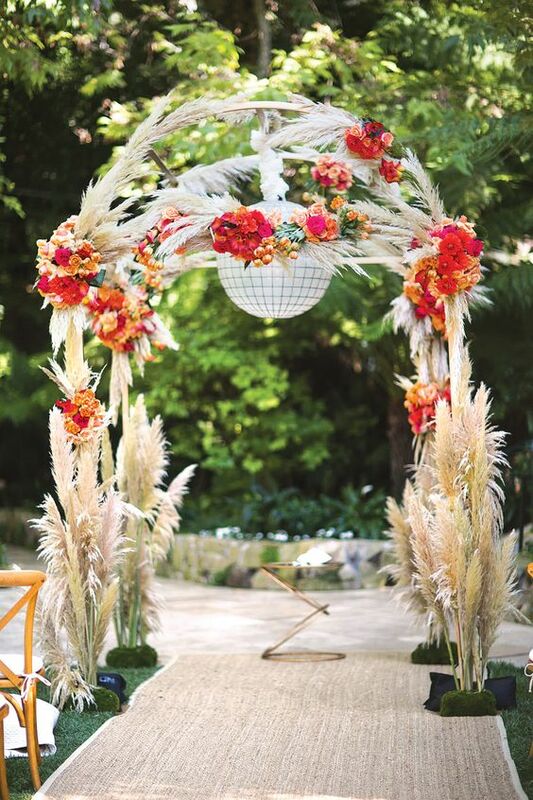 You can make a very cool and eye-catchy wedding backdrop of only pampas or mix it with greenery and leaves of various kinds. 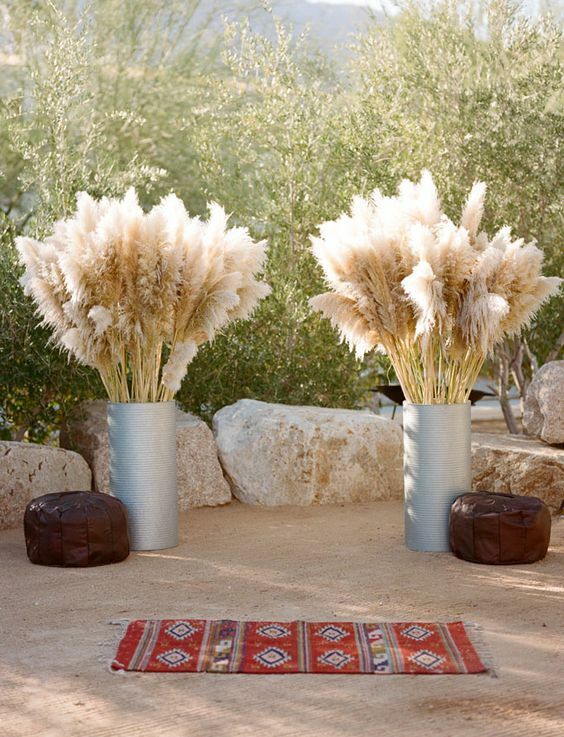 Pampas looks great with neutral or bold flowers, too, so you can use them together for creating a unique altar. 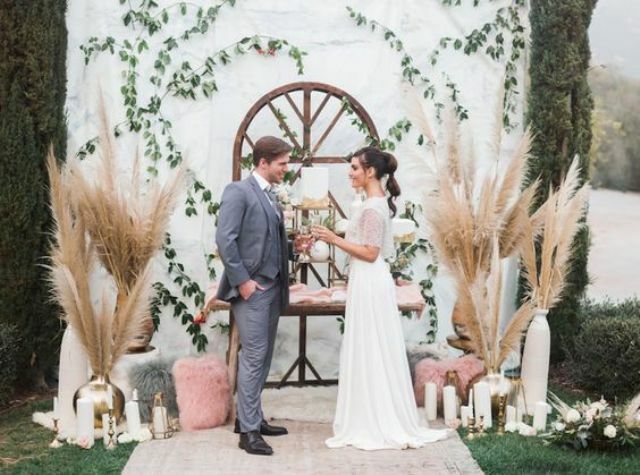 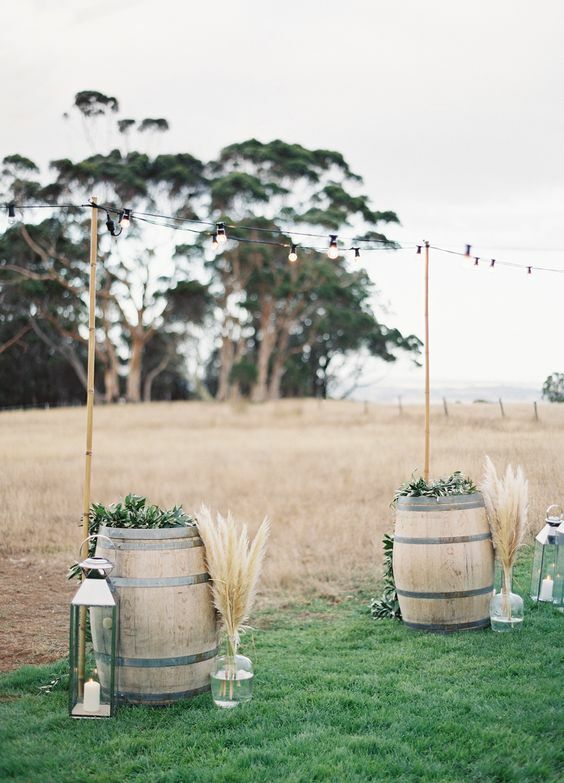 Use candle lanterns, rugs and cacti or succulents for a desert ceremony spot or go for galvanized buckets with pampas for a rustic look. 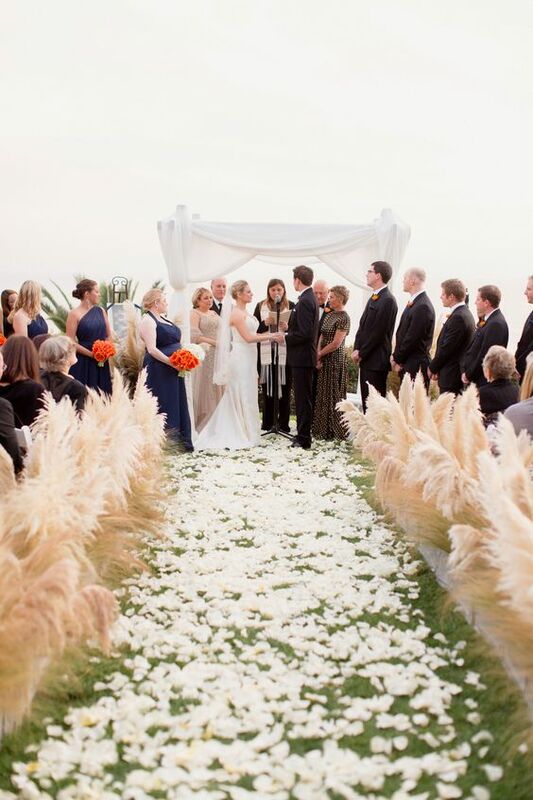 Lining up the wedding aisle with pampas grass is a great idea, it will look very special. 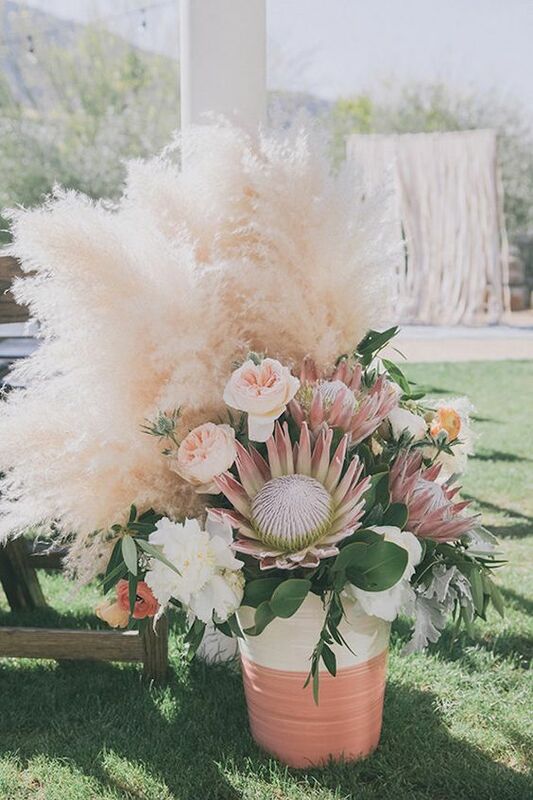 Pampas will look great just in some vases or buckets, or mixed with florals, succulents or proteas for a unique look. 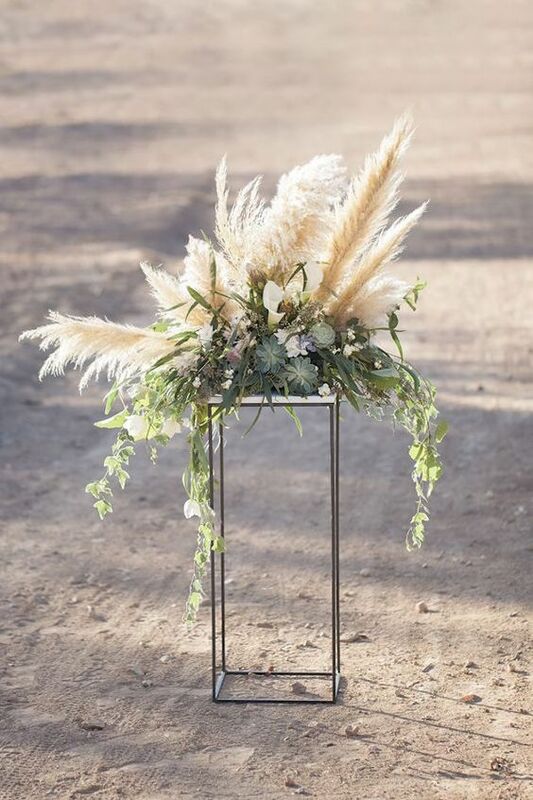 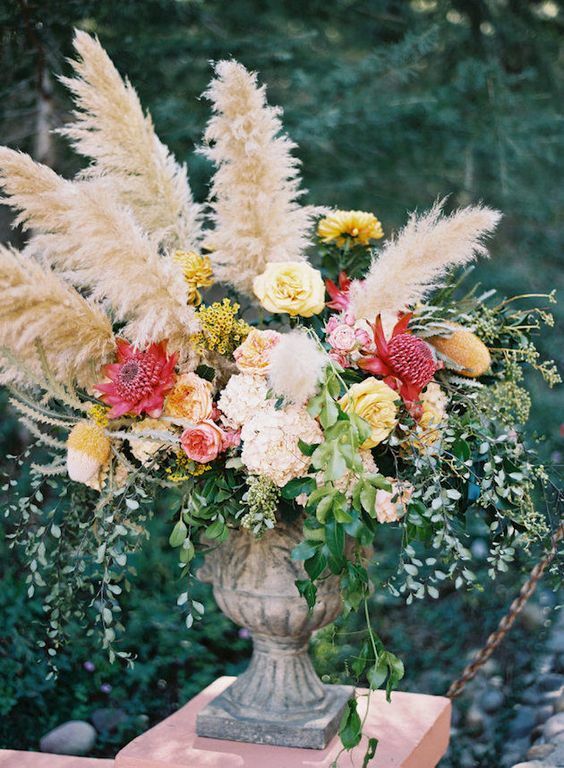 the type of arrangements and vases or urns depend on your wedding style and theme, pampas easily fit many styles and looks and won’t cost a lot. 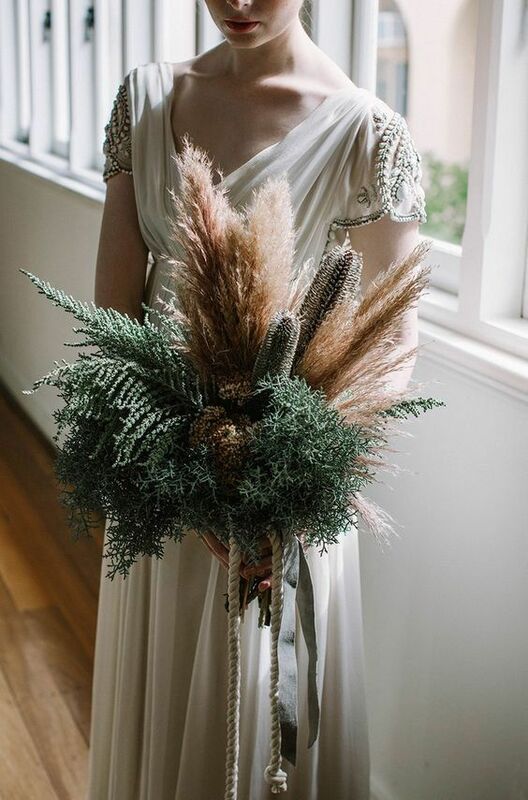 Pampas is right what will make your wedding bouquet textural and unique, it will give your bouquet dimension. 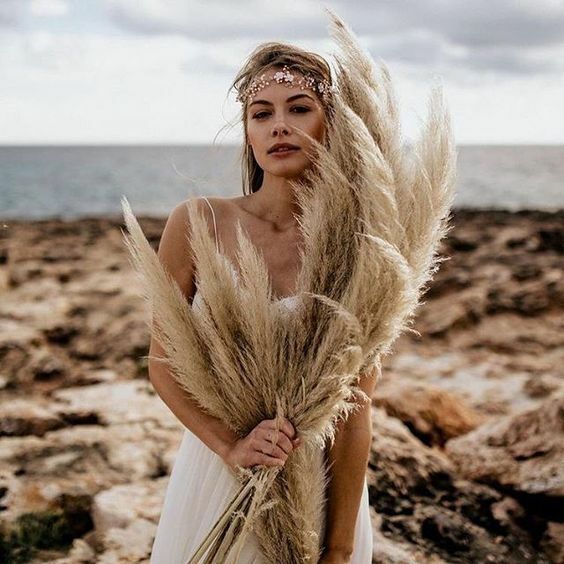 You can go for only pampas, your bouquet will have a fantastic desert or boho look, it will be gorgeous. 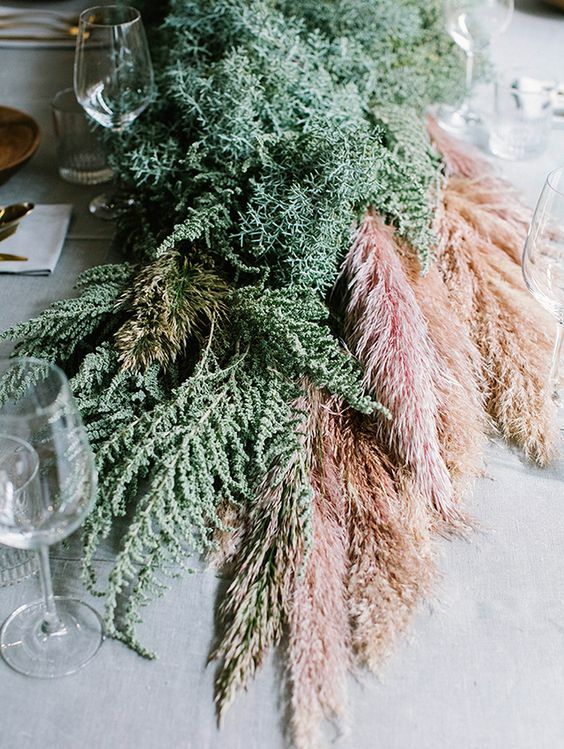 You can also combine pampas and various textural greenery like evergreens or fern for a cool look, non-flower bouquets are a great trend now. 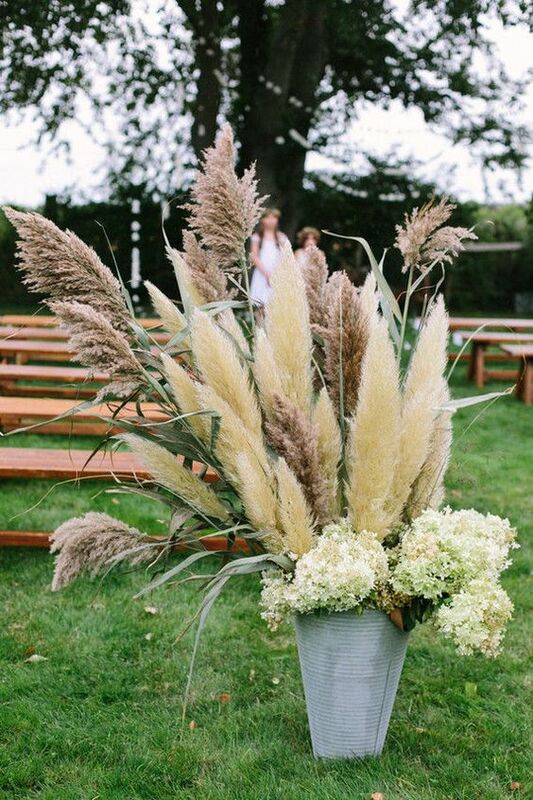 If you want flowers, find some matching ones for pampas and go ahead! 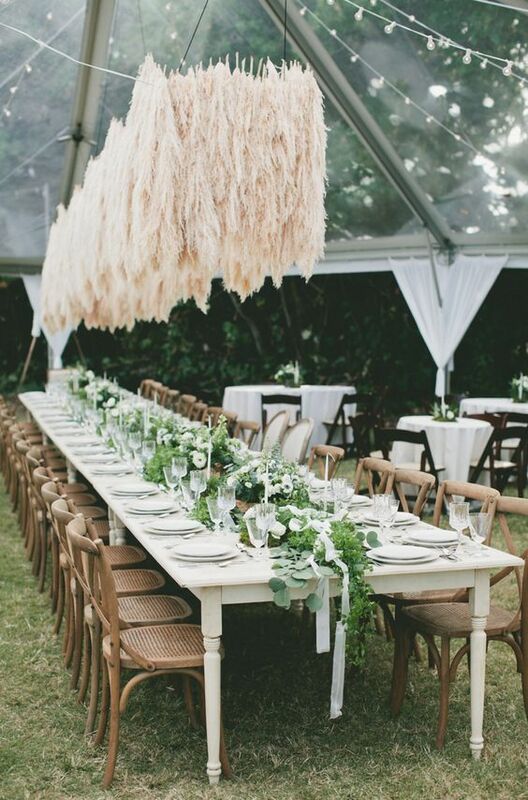 Create a chic pampas grass chandelier and hang it over the reception tables for a stunning look, your guests will be surprised and excited. 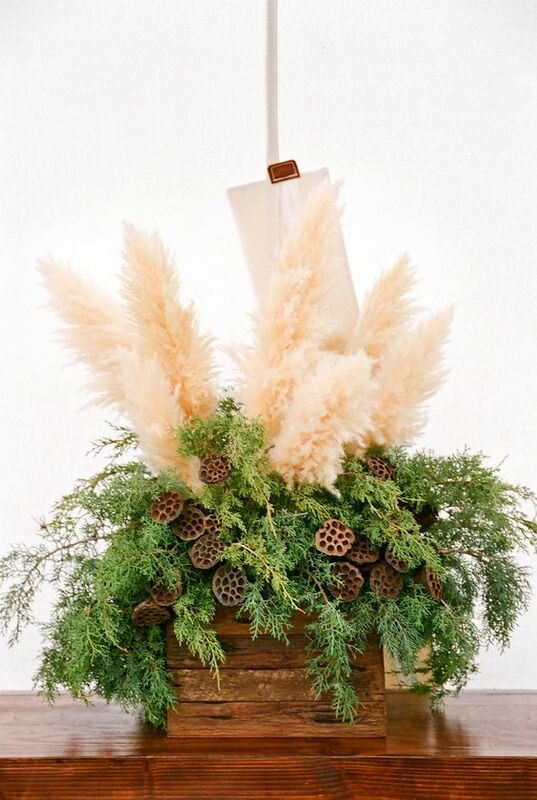 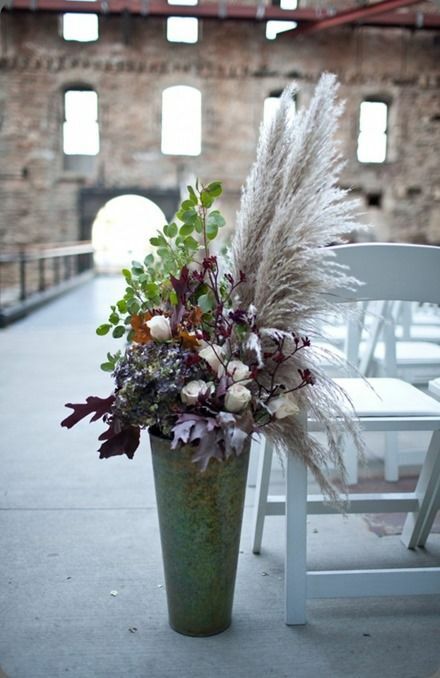 Pampas is perfect for simple and budget-friendly centerpieces – just put some in a vase of your choice and voila! 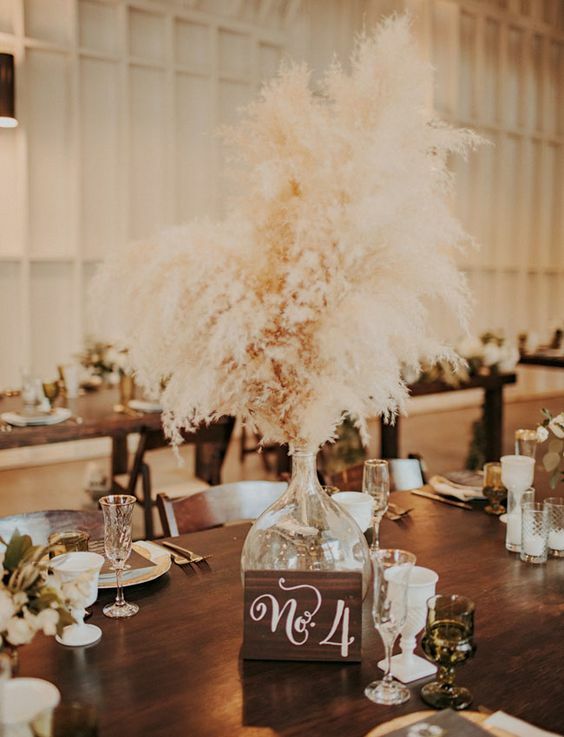 You can also combine it with various flowers, wheat, succulents or other stuff of your choice – that feather look is awesome! 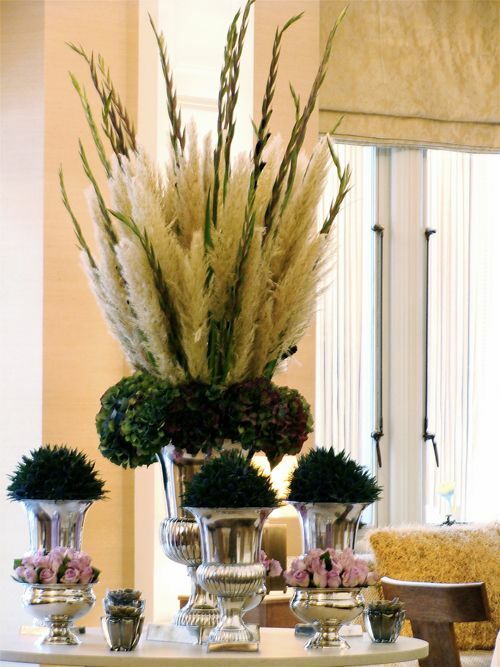 Get more exciting ideas below and get inspired!